Sorry you had to fly away to htat bridge, but I know that once youg et there it is a nice place and those that went before were there to greet you. We're sending bikg hUGS to your humans, who i'm sure miss you dearly. Oh so close to Christmas, Hunter how sad we are that you have gone. Our condolences to your grieving family. I am sorry for the loss of your handsome boy. Hunter, we are so sorry you had to go to the Bridge. 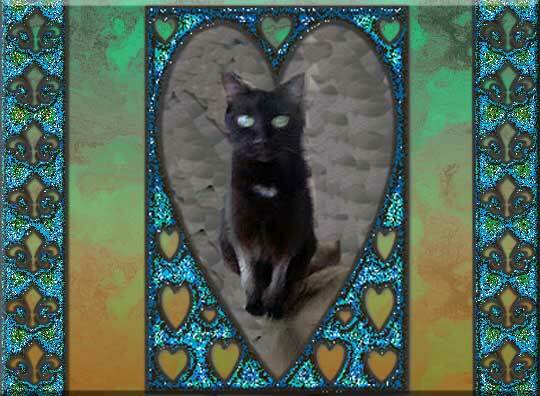 Sending purrs and prayers to your family, as the love and miss you so much. How nice Hunter had a long life. We are sorry his time came to leave behind those who love him. Purrs and paw taps.